Night recovery pricing is still quite weak. Will the bulls to impose their initiative and continue market growth? All day yesterday the pair consolidated in a narrow range above the moving average EMA55. 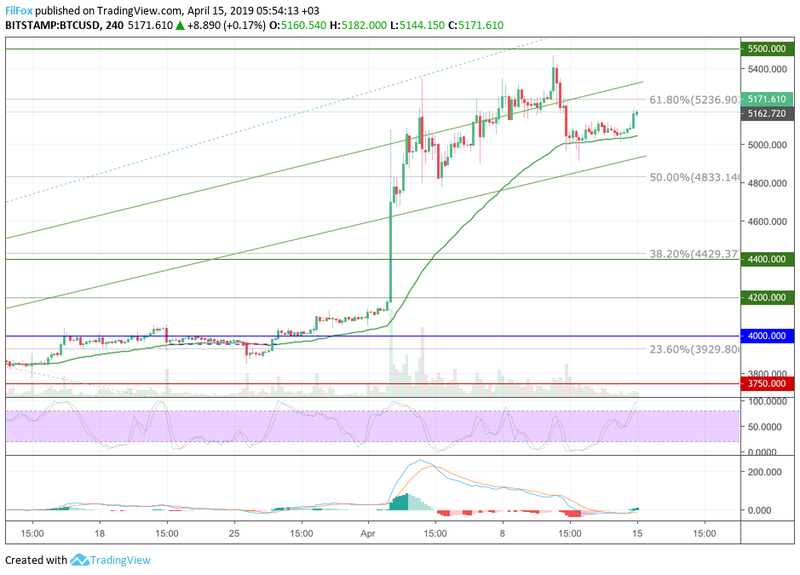 After midnight, the BTC price broke through the upper border of the consolidation range and began to recover to resistance at 61.8% Fibo (5236.90 USD). Growth is not supported by large volumes. When such activity recovery may fail on the approach to the Fibonacci level. The rollback will be below the level of average prices in the area of the lower border of the green corridor. If today we manage to increase the volume, possible breakout of the resistance at 61.8% Fibo and the price consolidation near the upper boundary of the green corridor. Yesterday the pair continued its sideways movement in a corridor between 160.00 USD support and resistance, moving average EMA55. At the end of the day, the pair broke the resistance of average prices and for six hours, trying to gain a foothold above the level of 61.8% Fibonacci (168.70 USD). This fight takes place at small volumes. If the volume of purchases will increase, the growth will continue in the area of 180.00 USD. If the activity of buyers will be at the same low level, to consolidate above 61.8% Fibo does not work and the price starts a pullback. 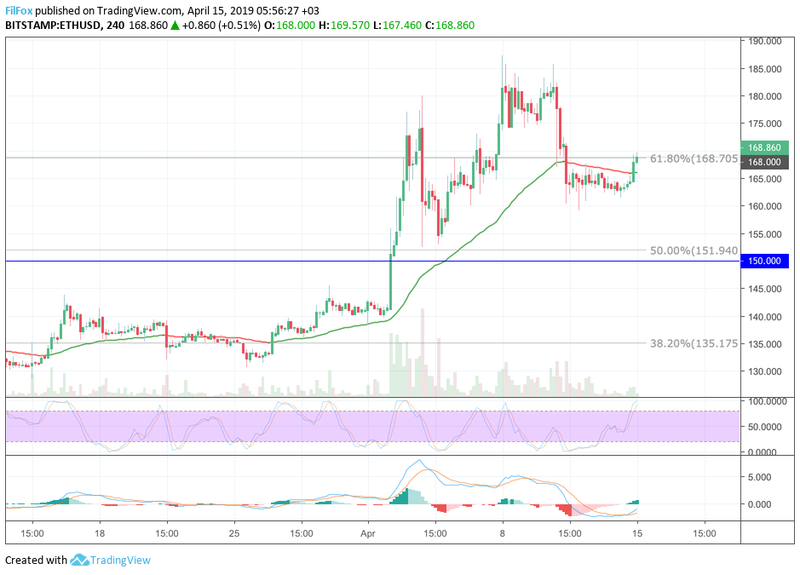 The connection medium volumes of sales will strengthen the dynamics of rollback and send the air to the 50% Fibo (151.94 USD). Ripple weekend spent under the resistance 0.330 USD. Overnight price made a feeble attempt to break this resistance level and established a local maximum at the point 0.332 USD. But the growth was not supported by volumes and the pair returned below the line 0.330 USD. 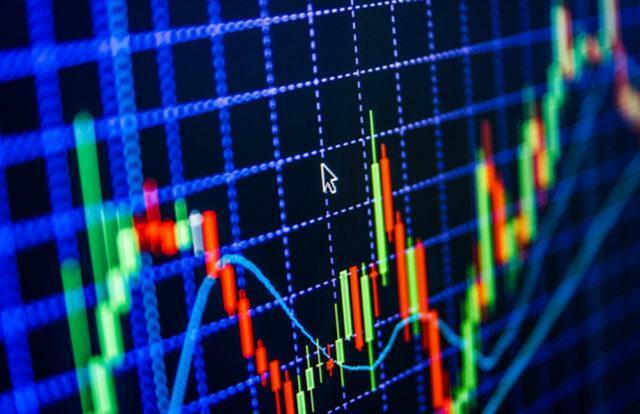 On the eight-hour chart indicators show that the price went on the rise. If it is supported by the purchases above the average level, the pair may test resistance 0.344 USD. In the opposite case, low market activity will contribute to the rollback of prices to the upper limit of the orange range.